Pelham - Split Rock GC is New York City's only 36 hole facility. Both courses are located in Pelham Bay Park (NYC's largest park) in the Bronx, lying east of Co-Op City and just south of Westchester County. The Pelham Course was built in 1901 and is a links-style layout. With it's expansive fairways and forgiving layout, Pelham is the perfect location for the begineer and experienced golfer alike. 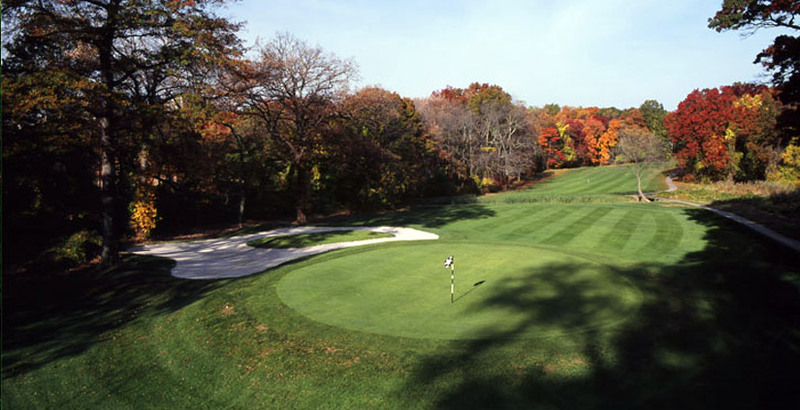 Pelham's sister course, Split Rock, is a championship caliber John Van Kleek classic design. A shot-makers course, it is a challenge that forces you to use every club in your bag. Whether you are looking to develop your skills or challenge yourgame, Pelham - Split Rock is the golf experience for you. Copyright 2003 - 2019 NYC Tee Times.